A misconduct hearing heard the officer text an acquaintance about the discovery of the missing teen's body before it was made public. A man who went missing from Chesterfield last week could be in the High Peak. Benjamin Titterton, 22, left the Chesterfield Royal Hospital on Friday, August 28. He was seen in Buxton on Sunday, August 30 and police believe he may still be in the town or High Peak area. Titterton is described as white, 5ft 10ins tall, of a slim build with light brown short hair. He was seen wearing a red jacket, dark green combat trousers with pockets and khaki boots. He was carrying a Sports Direct carrier bag. Wildlife presenter Sir David Attenborough has opened a new centre to train conservation volunteers in Rutland. The £1.5 million centre at the Rutland Water Nature Reserve will teach volunteers skills such as dry-stone walling, hedge-laying, bird ringing and wildlife recording. Bolsover MP Dennis Skinner clashed with the Prime Minister David Cameron at PMQs today over miners' pensions. During a heated exchanged in which the speaker was forced to intervene. Mr Skinner said: "No wonder they call him Dodgy Dave" and the PM referred to the Labour MP as "Jurassic Park". 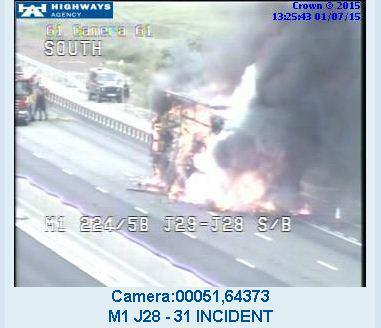 The s/bound carriageway of the #M1 has been reopened following the lorry fire. Please bear with us as we try to get everyone moving safely. 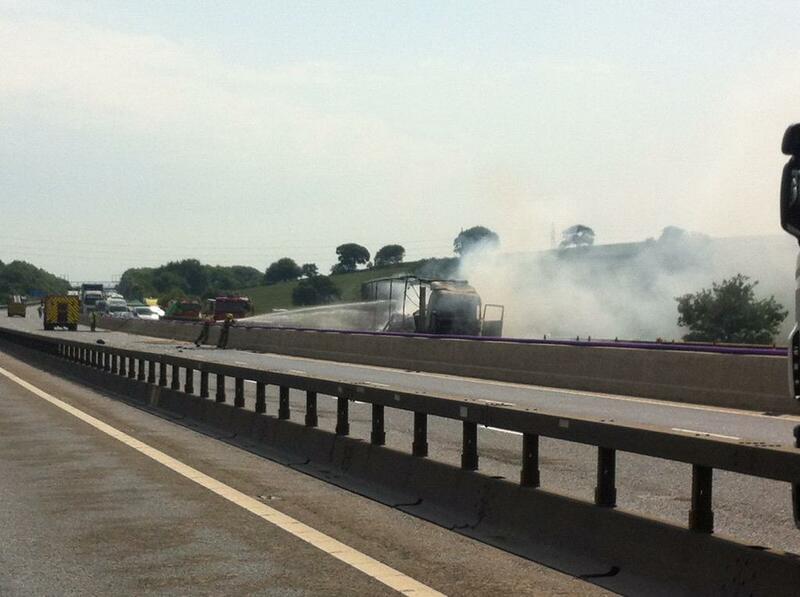 The M1 motorway has been closed in both directions between Junction 28 and 29 this afternoon after a lorry caught fire. Pictures posted on social media showed thick black smoke in the sky. The blaze, close to Mansfield, is now believed to be under control but the motorway lanes remain closed. Police are being investigated over concerns they failed to act thoroughly on reported sightings of the schoolgirl Amber Peat before she was found dead. It's just under three weeks since the body of 13-year-old Amber was found by officers less than a mile from her home in Mansfield - three days after she went missing. Amber was found hanged after vanishing from her home following a row with her mother and stepfather. The police watchdog is investigating whether officers missed opportunities to find her. Sally Simpson reports. Nottinghamshire Police says it has voluntarily referred itself to the IPCC in relation to its handling of the Amber Peat case. We made a voluntary referral to the IPCC and will fully support their investigation. Referrals like this are part of standard procedure for cases with such high public interest, we do this to ensure transparency. The Independent Police Complaints Commission (IPCC) has launched an investigation into Nottinghamshire Police's response to the disappearance of tragic Mansfield teenager Amber Peat. It is believed the force voluntarily requested that a review is carried out by the watchdog. Amber, 13, went missing from her home in Mansfield earlier this month. Her body was found after a four-day search. Test revealed the cause of death as hanging. A 19-year-old man has been arrested on suspicion of malicious communication following the publication of an offensive Facebook post. The man, who lives in the London area, is accused of making the post on social media during the inquiry to find missing school girl Amber Peat.